This Matzo Paper Printable is divided into two 5×7 inch rectangles, but feel free to cut them into any size that fits your needs. 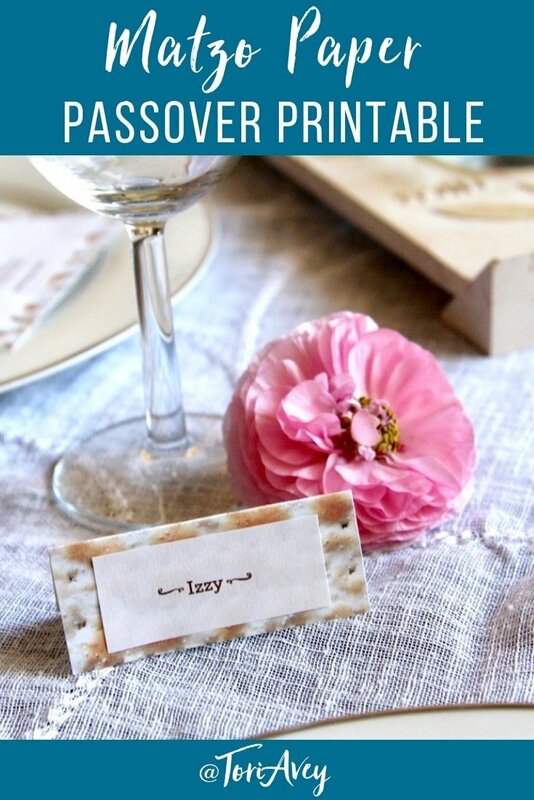 Use it to share your Seder menu as a pretty place setting, or cut it into strips to make fun little paper napkin holders. This adorable paper can also be used as decorative trim around flower arrangements or folded into little gift cards – the possibilities are endless! 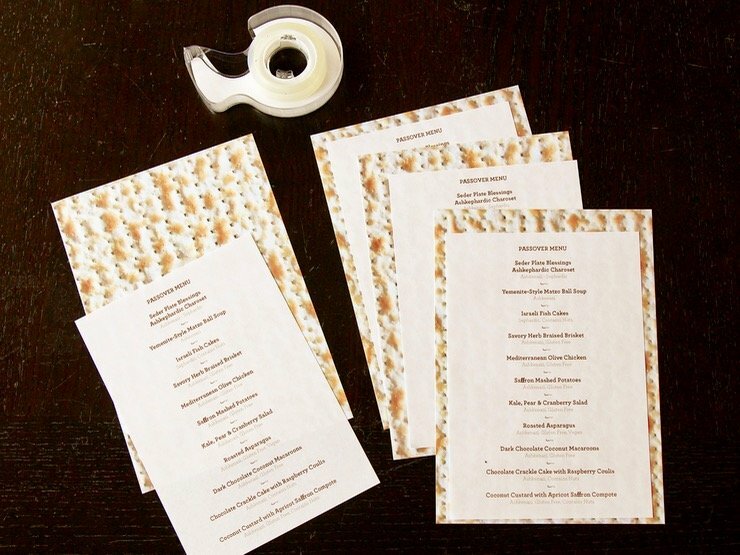 We chose to make menu cards by printing out our Seder menu on standard white paper. We then printed the matzo paper on cardstock and used double stick tape to adhere the matzo paper to the back of the menus. Easy peasy! 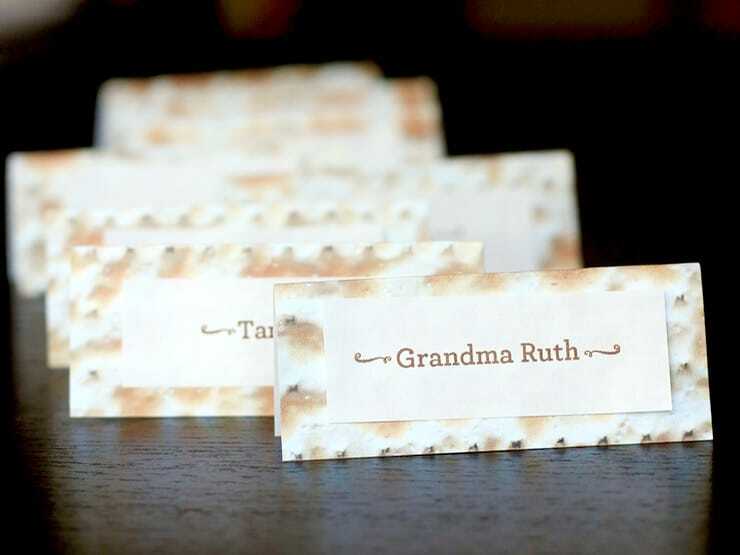 The paper is also great for name tags, which can be made by simply printing the matzo paper design on cardstock, cutting the matzo cardstock into 2.5×3 inch rectangles, folding them in half and then double-stick taping a printed name on top. 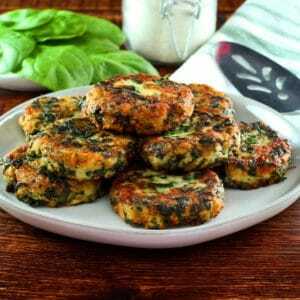 Super cute, don’t you think? Don’t forget to make a special place card for Elijah! 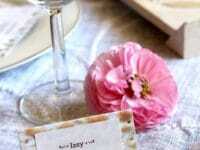 Another fun touch we like add to our Seder table is a centerpiece made of spring ranunculus blossoms. 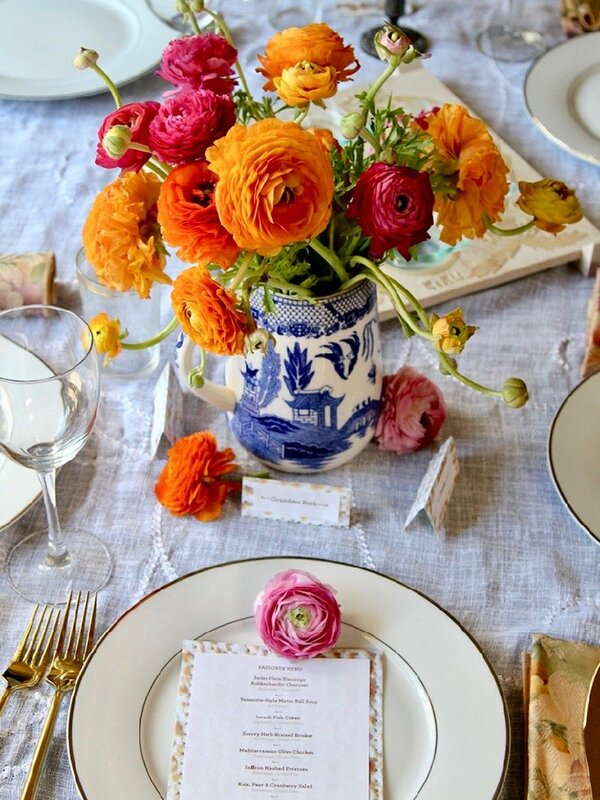 It’s a nice seasonal way to brighten your table. 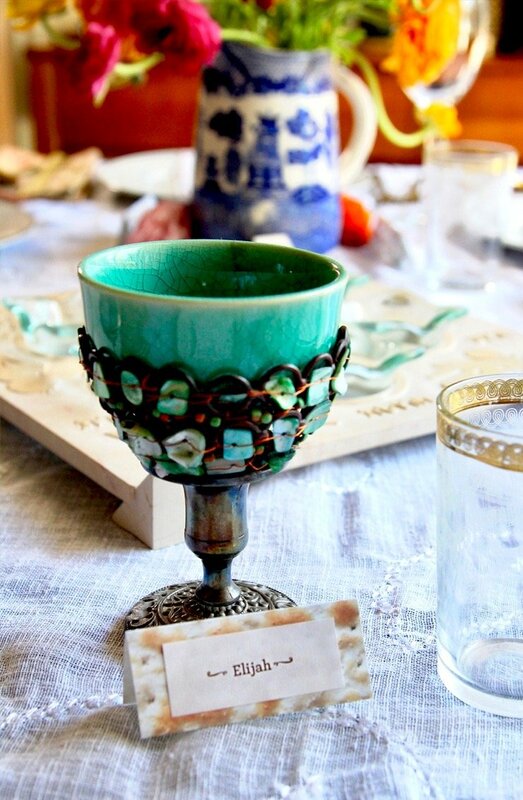 We hope these fun spring Passover tablescape tips will help make your Seder even more special! 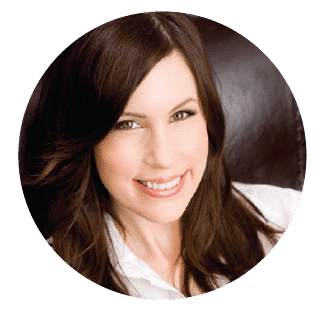 First of all, I love your website. 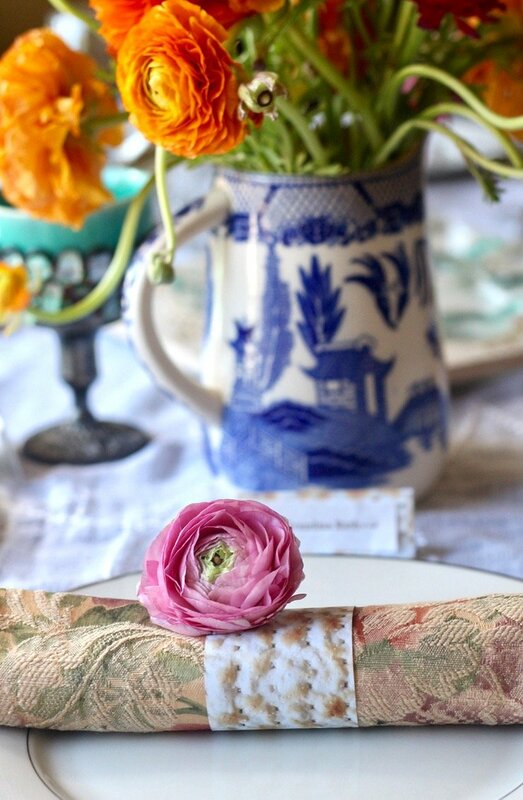 Do you have ideas of hand made ranunculus, maybe paper machet? 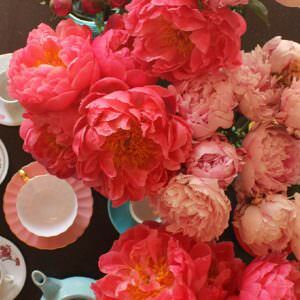 Anything with Ranunculus Thanks ! 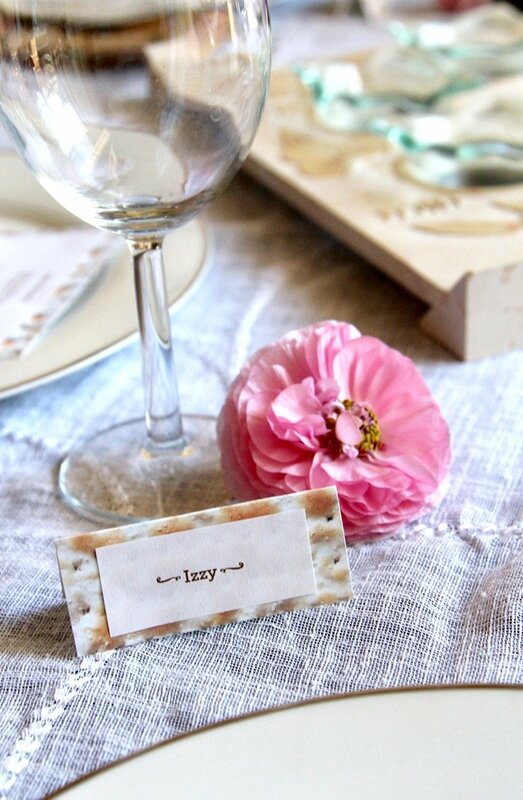 So funny…I color copied a piece of matzo and covered my napkin rings. I then printed names and attached. It was a big hit.